Contatti: GRUPPO ARCHEOLOGICO ROMANO O.n.l.u.s. Costo della visita 15.00 €. Per questa visita la prenotazione deve essere effettuata contattando il 3205560439 per comunicare l'orario scelto. 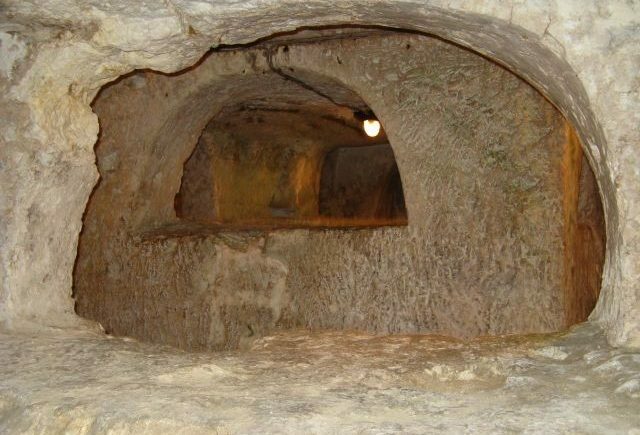 Excavations in course in the vicinity of St. Agatha's School in Rabat on the Island of Malta, not far from the catacombs of St. Paul and St. Agatha, have brought to light the tombs of adults and children, a number of which are intact. Malta's Superintendent has scheduled an Open Day for the public to view these finds on Sunday, November 27, 2016 from 10 a.m. - 4 p.m.
For information, visit this link. The Australian Catholic University (ACU) is seeking both postdoctoral and early career researchers and more established researchers to contribute to the collaborative research of the Centre for Biblical and Early Christian Studies. 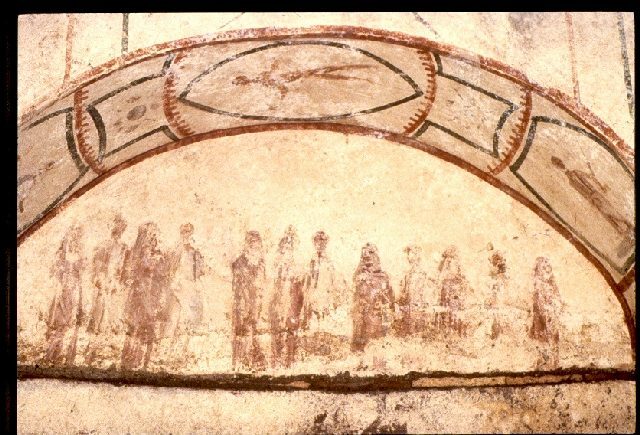 Researchers will pursue their own research and contribute to a major five-year project, ‘Modes of Knowing and the Ordering of Knowledge in Early Christianity’. This international project, led by Prof. Lewis Ayres (ACU/Durham) and four others from ACU, Durham, and Notre Dame, investigates 'modes of knowing' constructed by Greek, Latin, and Syriac Christians c.100-700 CE. A particular focus is the manner in which developing Christian thought was shaped by classical intellectual discourses (such as grammar, philosophy, rhetoric, and medicine), institutions, social practices, and material culture. 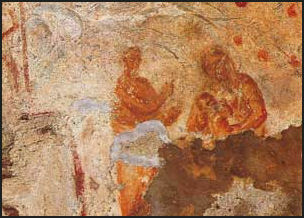 This project builds on research across the Centre in areas such as the social and cultural history of early Christianity, the cultural and intellectual transformation of Classical antiquity, strategies of Christian identity formation, and intersections between Christianity and ancient philosophy, rhetoric, medicine, and education. Within the 'Modes of Knowing' project, we envisage individual projects that will relate early Christian modes of knowing to at least one of: a) contemporary philosophical, medical, and rhetorical discourses; b) social practices of early Christianity and late antiquity (e.g. 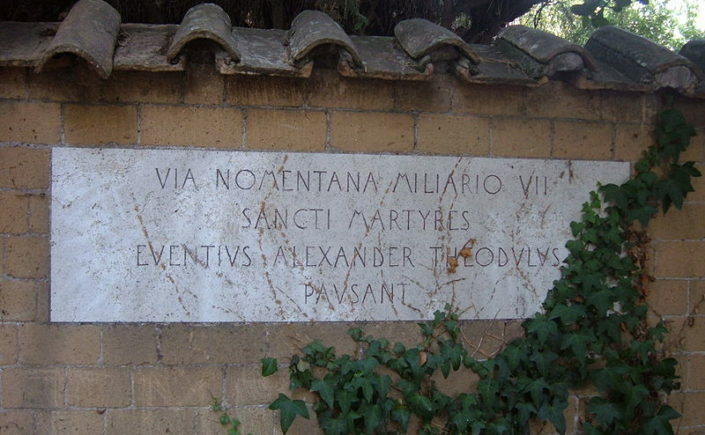 asceticism, pilgrimage, liturgies); c) imperial and institutional power structures; or d) the material world of early Christianity and late antiquity (e.g. relics, sacred texts). Researchers will also have opportunities to pursue individual and collaborative research beyond the Modes of Knowing project. We encourage all qualified researchers to apply, and particularly welcome applications from women and minority groups currently underrepresented in ACU’s Institute for Religion and Critical Inquiry. For further information, and to apply, please visit link. Scoperto negli anni ’60 dalle ricognizioni della British School at Rome, solo dal 2006 l’ipogeo è stato oggetto di studi sistematici, rilievi e restauri curati e finanziati dalla Pontificia Commissione di Archeologia Sacra, sotto la direzione scientifica del Prof. Vincenzo Fiocchi Nicolai (Ispettore delle Catacombe del Lazio). 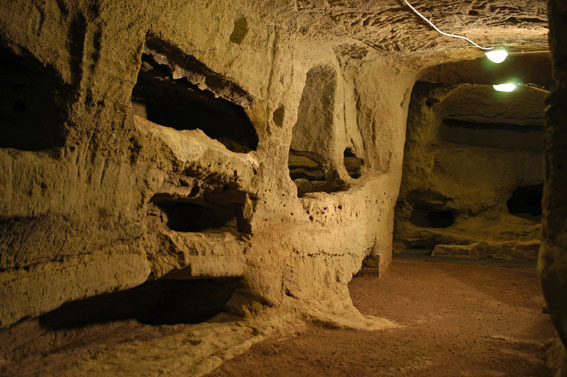 La catacomba è composta da cinque brevi gallerie e da un cubicolo ed è occupata prevalentemente da tombe a loculo. Dai reperti ritrovati e dalla semplicità dei corredi funerari, serviva molto probabilmente una comunità rurale abbastanza numerosa e di condizione modesta. 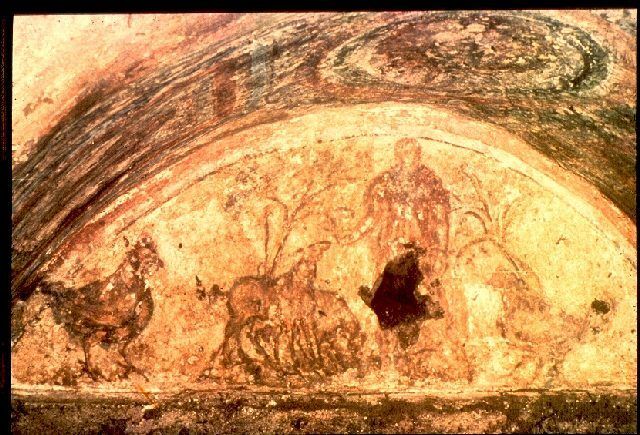 Chiari simboli di significato cristiano non lasciano inoltre dubbi sull’utilizzo della catacomba da parte di una comunità cristiana, il monumento costituisce attualmente l’unica testimonianza della diffusione del cristianesimo a Formello in epoca tardo antica. Not even a month after Israeli archaeologists announced the discovery of ballista and sling stones from the Roman siege of Jerusalem in 70 CE (link), the other side of the coin - on the other side of the Mediterranean - also will be newly exposed, with the archaeological area of the Circus Maximus racetrack in Rome open to the public from November 17, 2016. On this site, in the hemicycle of the circus, close to the modern traffic intersection of Piazza di Porta Capena, the SPQR dedicated a triumphal arch to the recently deceased Roman emperor Titus in 81 CE in memory of his military campaign against the Jews in Judaea and capture of Jerusalem a little over decade before. Recent work on the ancient and medieval walls in the circus stands have exposed pieces of the foundation of Titus' triple arch (a second monument, not the one in the Roman Forum), as well as pieces of revetment in white marble that might have been applied to its facade. While little remains of the arch's decorative features, what is certain is that it displayed a Latin inscription (CIL 6.944), now lost, but recorded in a Medieval text, remembering Titus as pulling off the impossible - conquering Judea and its people, a feat which all the generals and kings before him had not succeeded in doing or had not even tried to attempt: "Senatus populusque Romanus imp(eratori) Tito Ceasari divi Vespasiani f(ilio) Vespasiani Augusto pontif(ici) max(imo), trib(unicia) pot(estate) x, imp(eratori) XVII, [c]o(n)s(uli) VIII, p(atri) p(atriae), principi suo, quod praeceptis patri(is) consiliisq(ue) et auspiciis gentem Iudaeorum domuit et urbem Hierusolymam, omnibus ante se ducibus regibus gentibus aut frustra petitam aut omnino intem(p)tatam, delevit." 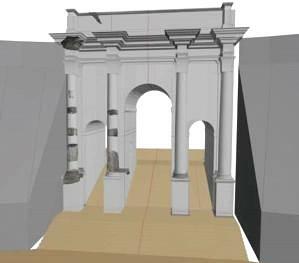 A virtual reconstruction of the triple arch made by the Università di Roma 3 will be on exhibit in the site. For more information on the site and visiting hours, contact project coordinator: Zetema Progetto Cultura. From December 12 on, the site is open weekends. To visit at other times, call to reserve at 060608 (phone line operated between 9 a.m. - 9 p.m.). International Catacomb Society directors, advisors, and current members are presenting at and moderating many sessions of the 2016 SBL/AAR Conference. Co-hosted by the Society of Biblical Literature and the American Academy of Religion, this event will be held November 19-22, 2016 in San Antonio, TX. The 2016 conference program is online: https://www.sbl-site.org/meetings/AnnualMeeting.aspx, Below are individual sessions that feature scholars with current ICS connections. An impressive lineup not to be missed! Recent years have seen a number of published studies and ongoing research projects on Jesus' parables. This session brings together leading parables scholars to discuss the state of the question. A panel in memory of Helmut Koester, one of the most influential scholars of the Christian Apocrypha in North America, assessing his ongoing legacy for this field. This is the second of two panels commemorating the work of Thomas Sizgorich; the first was held at the 2016 IQSA Annual Meeting. This session commemorates ten years of the Religious Experience in Antiquity Section at the SBL. The Speech and Talk and Space, Place, and Lived Experience in Antiquity Program Units are hosting a joint session exploring the confluences of speech, space, and gender. This session will discuss two recent publications on cognitive and ritual approaches to the New Testament and Early Christianity: Risto Uro, Ritual and Christian Beginnings (Oxford University Press, 2016) and Istvan Czachesz, Cognitive Science and the New Testament: A New Approach (Oxford University Press, 2016). Theme: What can domestic artifacts tell us about ethnic, religious and cultural affiliations? At the 2016 Annual Meeting of the American Schools of Oriental Research from November 16-19, 2016, Prof. Jodi Magness (University of North Carolina at Chapel Hill) and colleagues will present the results of the 2015-2016 excavation seasons at the site of a Late Ancient synagogue building at Huqoq in eastern Lower Galilee in Israel. Prof Magness received a 2016-2017 Shohet Scholars grant for the excavation season that followed the one under discussion at the ASOR event. The 2016 ASOR Annual Meeting will be held in San Antonio, TX from November 16th to 19th at the La Cantera Resort and Spa. The program schedule is on: http://www.asor.org/am/. Since 2011, Jodi Magness of the University of North Carolina at Chapel Hill has directed excavations in the ancient village of Huqoq in eastern Lower Galilee, assisted by Shua Kisilevitz of the Israel Antiquities Authority. The excavations have brought to light parts of the Jewish village of the fifth–sixth centuries and the Ottoman period Muslim village of Yakuk. In this paper, we report on the results of the 2015–2016 excavation seasons, which focused on a monumental, Late Roman (fifth century) synagogue paved with extraordinary mosaics. 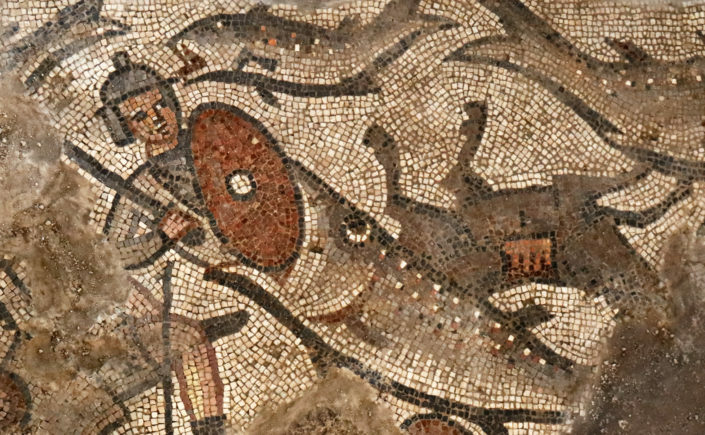 The mosaics include the first depiction of a non-biblical story, and the first scene from daily life ever discovered decorating an ancient synagogue. The synagogue was expanded and reused as a public building in the Middle Ages (12th–13th centuries), when the stylobates and pedestals were lifted a half a meter, and the aisles were paved with mosaics. Column drums from the synagogue that were used in the medieval building to support the lifted stylobates still preserve their original painted decoration. This paper provides an overview of these recent discoveries, which shed new light on Galilean Jews and Judaism against the background of the rise and spread of Christianity. Apertura straordinaria catacomba di Sant'Alessandro con visita guidata con storico dell'arte alla Catacomba e Basilica Paleocristiana di Sant'Alessandro sulla via Nomentana. 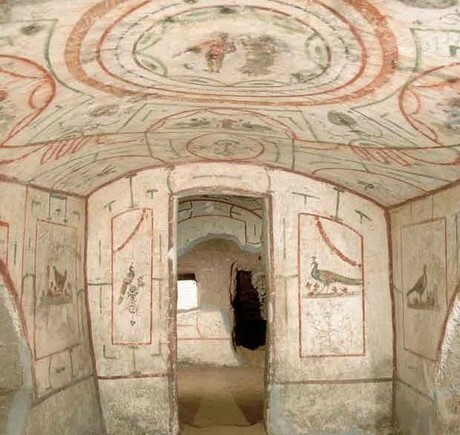 Special opening of the Catacomb of S. Alessandro including tour of the semi-hypogean basilica.